Christian & Co. Marine Surveyors is the marine surveyor to call. Christian & Co: Ensuring the safety, value, and seaworthiness of your vessel since 1995. 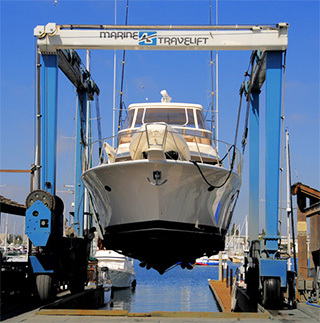 Christian & Company Marine Surveyors, Inc. has been in business since 1995 providing high quality pleasure craft marine surveys for both power boats and sailing vessels. This is your assurance that our marine surveyors have passed the rigorous testing required for membership. Christian & Company’s marine surveys are accepted by all insurance companies, financial institutions, and other marine related industries. Our areas of expertise include wooden boats, fiberglass boats, steel boats, and aluminum boats. We also have performed marine surveys on all types of pleasure craft and yachts, commercial vessels, including fishing boats, and also ferro cement vessels. Mechanical surveys are available for most marine engines. If your insurer or lending institution has requested that you provide them with a recent in-the-water or hauled marine survey; or any of our other services, please give us a call. We’re here to help you in any way we can. Our commitment to the boating public is to provide quality, professional service and ensure your boat provides you with the pleasure, recreation, and fun you expect. Our unwavering participation in continued education assures our clients of the most up-to-date knowledge on safety issues, regulations, industry trends, and market conditions in the boating industry.